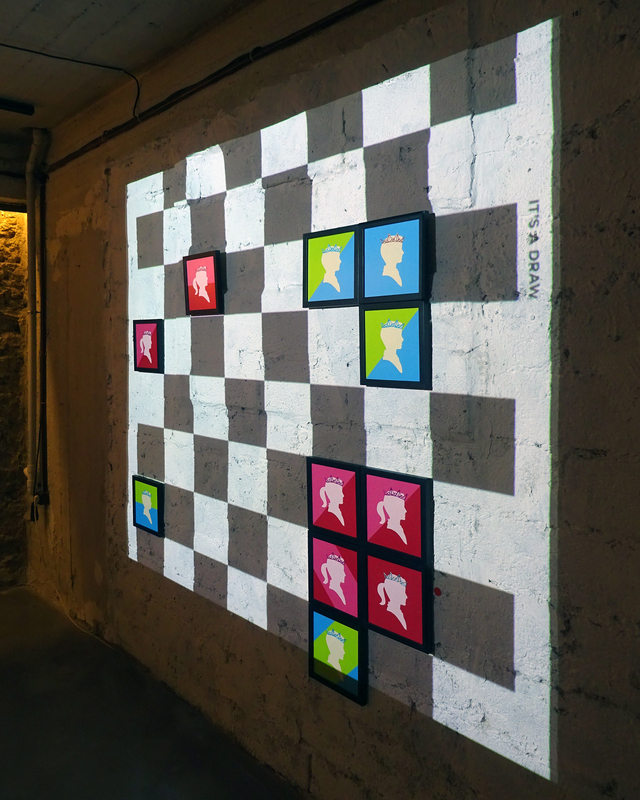 The installation was inspired by a game of chess that resulted in a draw between Garry Kasparov and 13-year-old Magnus Carlsen. 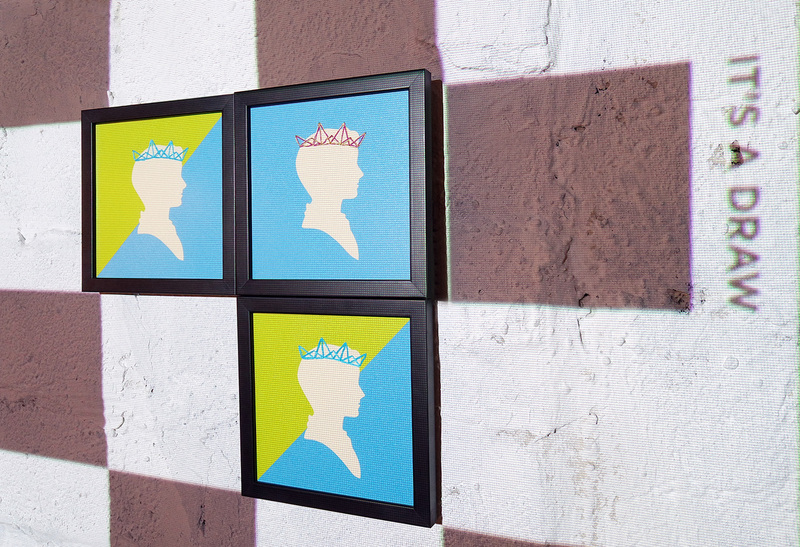 Frames of princes and princesses are strategically positioned matching the final setup of the pawns. 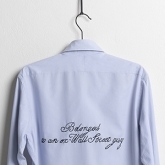 It is an artistic representation of the battle of the sexes, which very often has no winner or loser, as both sides could be losing or winning at the same time.